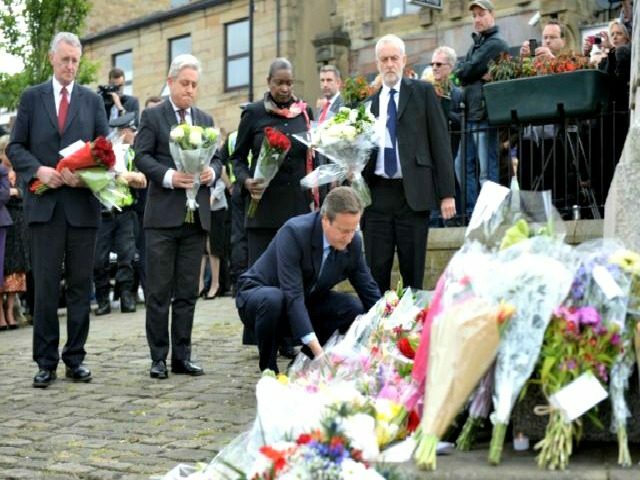 LONDON — British support for remaining in the European Union has weakened in the wake of the murder of the pro-EU politician Jo Cox, according to an online research company Friday. Qriously, a London-based technology start-up that gathers data and intelligence about consumers through mobile phone apps, found that backing among likely voters for Britain’s EU membership has dropped to 32% from 40% before her death. The poll was based on 1,992 British adults surveyed on June 13-16, and then 1,002 on June 17 — the day after Cox was shot and killed in northern England. The start-up claims to have held the first such survey on the topic since the lawmaker’s slaying. Most of Qriously’s surveys are done for corporate brands and it has not been previously conducted an EU referendum poll. Qriously found that 52% will vote to leave the bloc in a national referendum on June 23. The figure is unchanged from before the parliamentarian’s death. The weakening support for remaining in the EU coincided with a large move toward “Don’t know,” which leaped to 16% from 9% before Cox’s assassination.